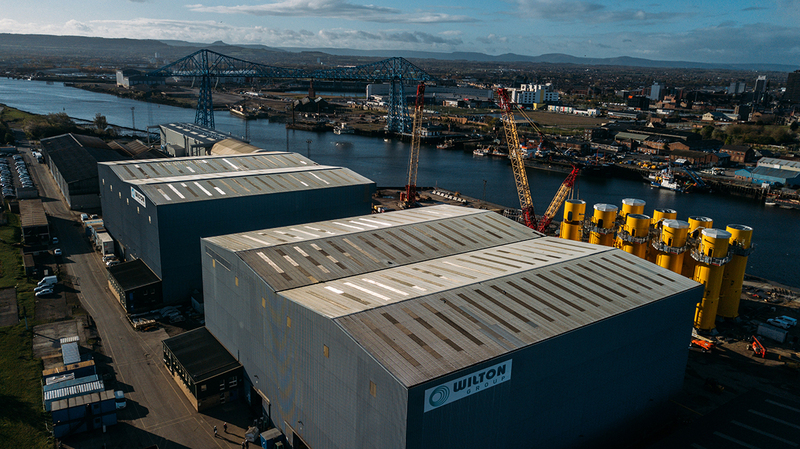 Facility - Wilton Engineering Services Ltd.
Wilton utilises its Port Clarence base for all fabrication, coating and load-out facilities. The site extends some 54 acres incorporating 3 separate quays, most significantly the main 200 metre Quay and 54 metre angle quay, both these quays are adjacent to an extensively piled and reinforced concrete external construction apron, the apron itself being served by the four no construction halls, each 64.5 m (L) x 33 m (W) x 23 m (h) to underside of crane beam with floor load ratings of 40 Tonne / m2, each hall having provision of 2 no 30Tonne overhead (60Te tandem) cranes. WESL site also has a 11,500 m2 dedicated permanent undercover blast and coating facility and a 2000 m2 cut and prep area with a further 4000 m2 of undercover fabrication facilities for pipework and smaller work scopes. 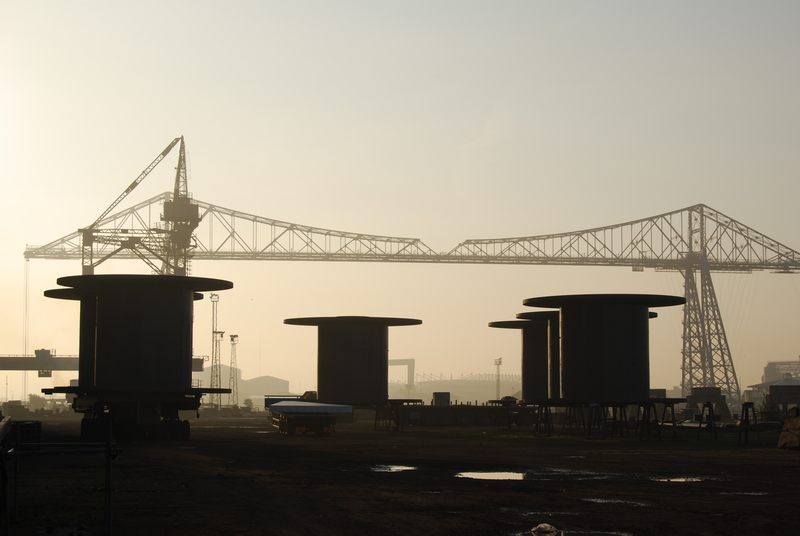 The facility has a long and successful track record of producing and loading out many large fabrications, the first of which was the famous Thames Barrier manufactured in 1974 which has kept London safe from flooding for many years. 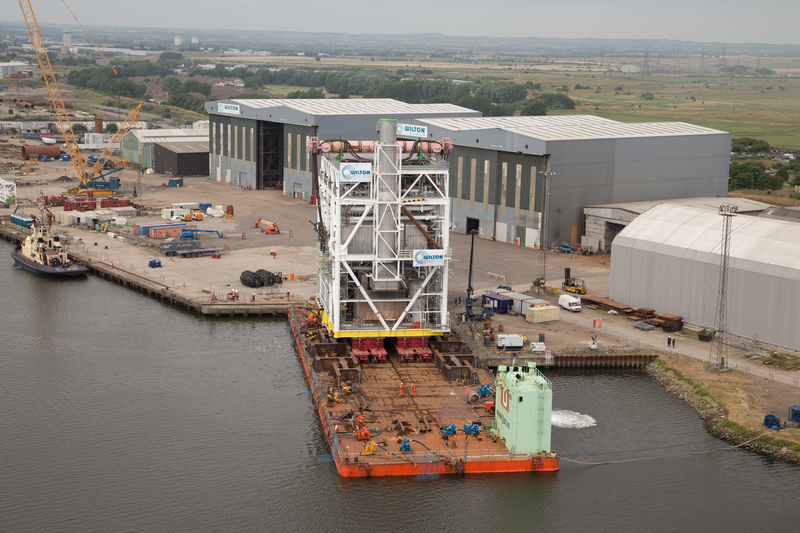 Two of the main quays have barge Roll on Roll off capability with capacity of 20,000Te over each quay, whilst specific static and mobile cranes can be used for offloading direct from vessels. 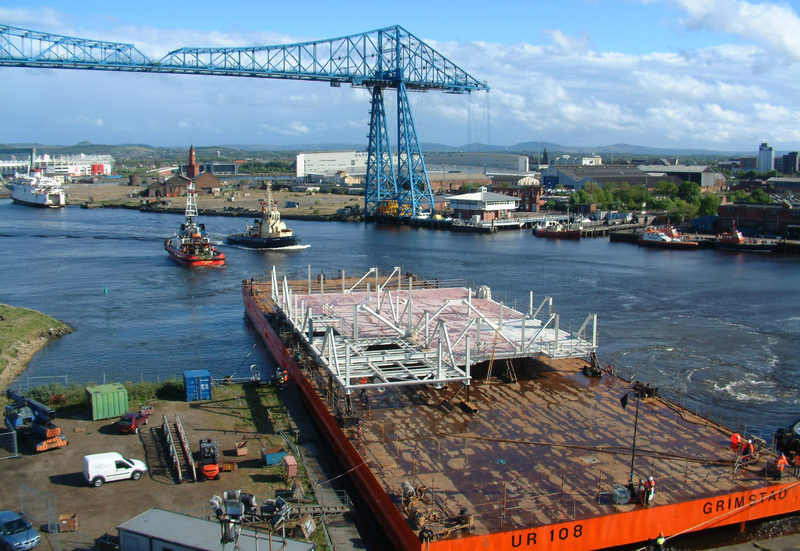 Historically the base was utilised to construct many large modular topsides for the UK/Norwegian sectors. Over 300,000 tonnes of topsides were executed and delivered from the facility. All movements, temporary works, lifts and load-out activities are supported by our in-house engineering department consisting of Professional Engineers and Appointed Persons (AP). Such engineering support activities have in some instances extended to running a continuous structural analysis to assess the suitably of the incomplete fabrication for movement and introducing temporary works as appropriate.